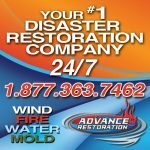 Advance Restoration, LLC is family-owned and operated with a combined experience of over 70 years. We are fully licensed and equipped to build or restore any establishment including residential, commercial, and industrial properties. We are not your typical company. Creating relatable, honest and committed relationships are what make our company thrive and our home and business owners happy. Headquarters is located in Clinton Township however, there is no limit to our service area. We are prepared for most remote job locations throughout the U.S. We specialize in Disaster Recovery and Home Improvement and are available 24 hours a day, 7 days a week. We are in the business of creating relationships that last and are committed to giving our personal best to every client, every time; no exceptions! Whether you have an insurance claim on your home or business, just in need of home remodeling or complete commercial expansion, we are the professionals for the job.